“It was a really tough decision, but unfortunately, we decided to go with another candidate at this time.” This was the third job rejection email I’d read that week, and the stream of “Nope, sorry” messages was getting old very quickly. The job hunt can be incredibly draining, to say the least. Between filling out dozens (if not hundreds) of applications, proofreading every resume and cover letter for typos, and walking into interview after interview with no offer in sight, you may feel ready to give up. You’re definitely not alone! 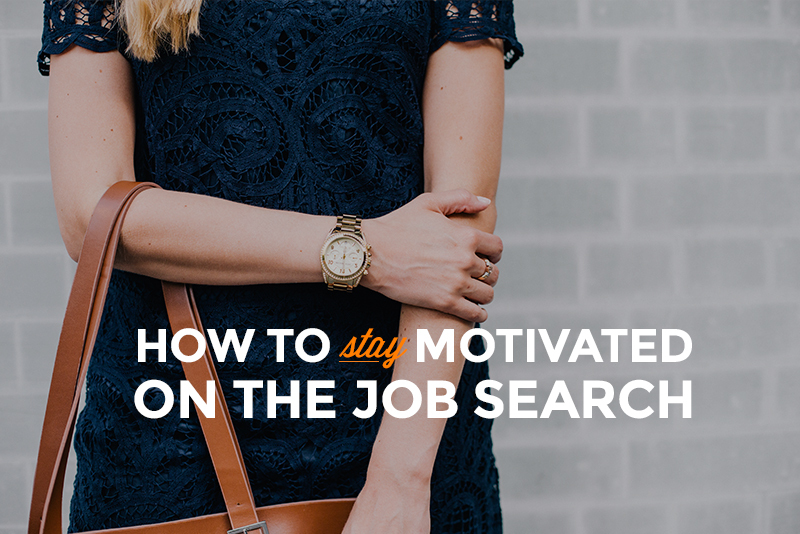 Good news: There are so many ways to keep yourself pumped up no matter what your job search is throwing your way. Feel like you’re going into zombie mode after staring at a computer screen for 10 hours straight? Step away from the electronics and get your mind off of the 15 job applications you were hoping to submit by the end of the day. “Eye fatigue” is in fact a real medical issue that can make you less productive. Instead of looking at your screen, try an activity that forces you to stop thinking or talking about the job hunt. Personally, I love exercising (cheers to endorphins! ), and nothing gets me feeling more relaxed than a spin class or a long run. A friend of mine loves to volunteer to get her mind off of issues, and she always comes back ready to tackle anything. But don’t stay away from your computer for too long, cause, you know, tech is where all the jobs are! 2. Change up your routine. Do you always work on jobs apps at the end of a long day of work? Do you work on your resume before perfecting your cover letter? Do you always write job applications from your bed? Whatever your routine is for job searching, switch it up. Giving more thought to how you fill out your job applications will allow you to see where you may be inefficient. For example, maybe you always get sleepy when you do work in bed. By moving to your kitchen table (or a nearby coffee shop), you’ll get a new burst of energy to keep going. It may seem like the only way to land the job is to fill out the application, send in your resume and cover letter, and spend the next week constantly refreshing your inbox. 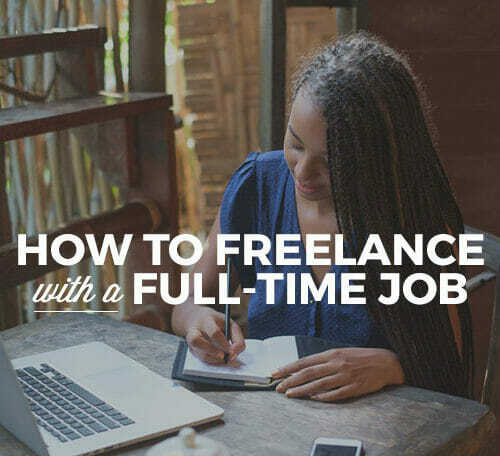 Or if you’re looking for freelance or contract work, maybe your job hunt always involves scouring eLance or oDesk for work, spending hours writing the perfect email, and THEN spending a week refreshing your inbox. However, the job search definitely doesn’t need to be that way! The job hunt can mean a lot of different things, so consider changing it up. Head to networking events and conferences to meet new people. 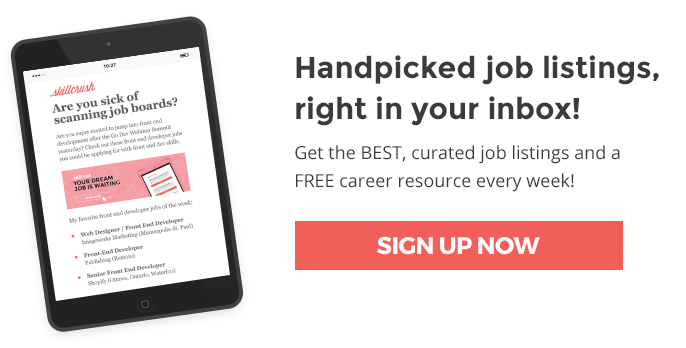 Subscribe to industry newsletters that keep you up-to-date and clue you in on job openings (hint: the Skillcrush one is pretty darn great, and Skillcrush blog posts frequently include job listings!). When I was hitting a rut with my job hunt, I realized that surfing listings for hours a day wasn’t cutting it, and funnily enough, the first networking event I attended actually landed me a contact who soon offered me a freelancing gig. So even if you’re feeling a little self-conscious about your brand new tech skills, getting out of the house and meeting real humans who can help you find the right work for you, whether you’re in New York or North Dakota. 4. Talk about your struggle. Never feel like you have to go through the job search alone. Find a friend going through the same thing (or who can at least be a sympathetic ear). Also, don’t be afraid to ask others for feedback or constructive criticism. When I was having trouble finding a gig, it was helpful to talk to a mentor about the issues I was having with my cover letter; I could never get it worded the way I wanted. Getting a new opinion really helped (never underestimate the power for a fresh pair of eyes), and I was more determined after hearing her thoughts than I was before. If you don’t know someone who you consider a mentor, comment on blogs or join a meetup to get to know others in your industry, or engage in an online community. 5. Create a brag sheet. The constant stream of rejection may make you feel like you haven’t accomplished a great deal or like you’ll never land a job. Enter: the brag sheet. Open up a Word or Google doc and write down five things you’re awesome at. Don’t worry about making these points sound good or resume-ready; just sit there, think, and write. What is one way in which I excelled at my previous job? What is one specific time where I rocked it at the office? What is one quality other people have said they really admire in me? Talk about a quick confidence boost, right? 6. Embrace the small wins. Got to the final round of a job interview but didn’t land the gig? There are two ways to look at this: Either you failed at your ultimate goal, or you succeeded at so many other stages of the game to get to that point. Before your start beating yourself up about what didn’t go right, think about everything you did that was awesome. Obviously your cover letter and resume were on the right track, as were your initial interviews. Don’t forget that those things matter! 7. Read about people you look up to. Every important person (from Steve Jobs to Sheryl Sandberg) has struggled in his or her career. I found that reading biographies and other articles about these business giants made me feel a lot better about the position I was in. After all, you’re not the first person to have a tough time during the job search. Keep your head up! By taking time out, clearing your head, and looking at the positives, you’ll be on your way to that offer letter in no time. And if you really start to feel like you need a leg up in the job search, it might be time to work on some new, in-demand tech skills. 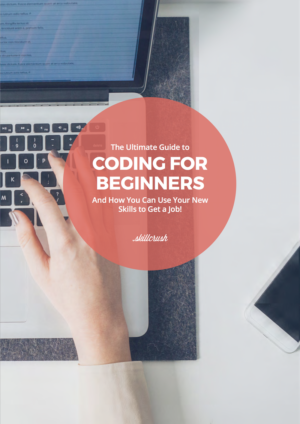 Even if you’ve never considered yourself a “computer person” or dipped your toe into the technical waters, learning even a few digital skills can separate you from the crowd and put you at the top of list. Skillcrush Career Blueprints are opening soon! Take a look at the program that could supercharge your job search. And in the meantime, prep your materials! 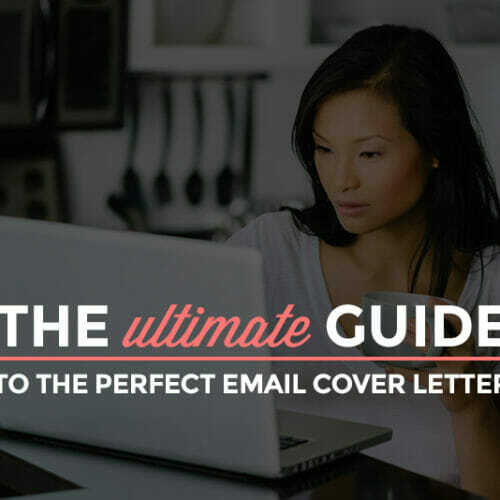 Check out the download below, The Ultimate Guide to the Perfect Email Cover Letter, and take the first step to attracting the companies you’re dreaming of working for. Lily is a writer, editor, and social media manager, as well as co-founder of The Prospect, the world’s largest student-run college access organization. She also serves in editorial capacities at The Muse, HelloFlo, and Her Campus. Recently, she was named one of Glamour’s Top 10 College Women for her work helping underserved youth get into college. You can follow Lily on Twitter.